Welcome to Feel It Real for Money – Part 7. Let’s dive in. Remember, Neville’s methods ALWAYS work IF you don’t let your seeds get scattered, by destructive thinking and conversations of others. If you let them, people of the world will scatter your energy – your seeds to the wind – if you let them. Do not let them destroy your dreams. It is up to you to stay focused – and to LIVE FROM the state of your wish fulfilled. Notice in the lesson below – how HUGE the benefits can be – if you choose to take in NO NEGATIVITY. ….by lesson 4 (of 59) from the Neville Goddard Prosperity Pack. Let’s dive in with the words of Neville, where he shares how his family fortune grew explosively (and how it changed the entire economy of Barbados) BECAUSE Neville’s brother Victor – didnt’ buy into the negativity, the news and the gossip that the world feeds each of us every day. Instead chose to shrug it off and use the wonderful human imagination – to feed his dreams and feed the Goddard Family Business. Here we go! ….and over hear people comment while in line at the grocery store or at the dog park. But…. Personally, I am SHOCKED when I hear people talking about it, as if it’s still going on, as if THAT is what determines your destiny. When I was younger, and broke, I listened for a while, then grew tired of it. Because I knew that to listen to it, I had to imagine it – I had to entertain it in my mind and REACTING to that kept me BROKE. I’d rather entertain much more productive angels inside my mind. Remember, Jacob wrestled with his angel, his imagination until he won. He didn’t stop – he dove deeper. It’s a lot easier to win, if you stop feeding the “bad angels”. Stop listening to any arguments about limitation, about depressions and about recessions, and you will find that they have almost no impact on you. Don’t spend (waste) your time in useless conversations about how bad the government is, how bad the economy is, or how bad things are. Forget all that. Walk away from it. Do what it takes. Always be investing. Invest your time. Invest your money. Invest your imaginal acts. Don’t let anyone or anything distract you and destroy your dreams. Do what it takes everyday – to change your world – from the inside out. That’s it for today. 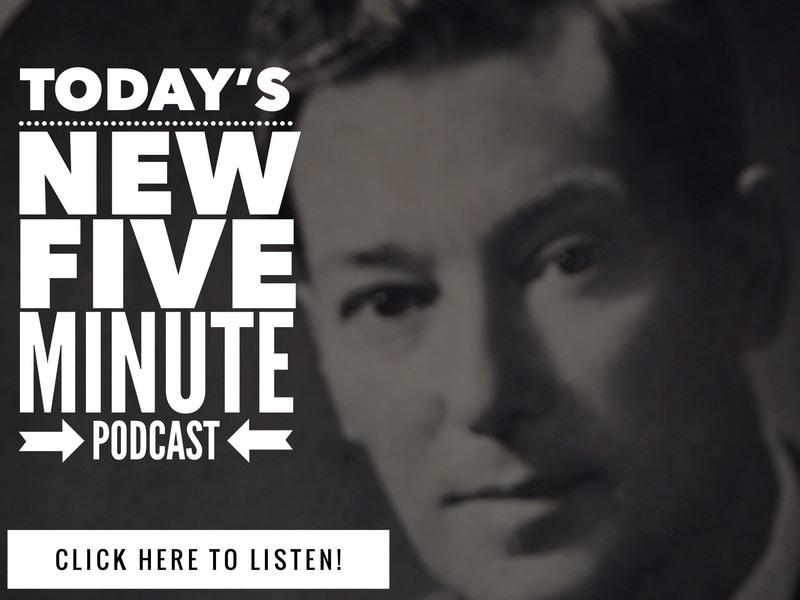 Inspired by lesson 4 (of 59) from the Neville Goddard Prosperity Pack and your emails. Ready to work with us directly? …that have been getting in your way forever. Join us in Manifesting Mastery Today! – Click here! You get a special Member’s Only lesson every day of this 90 day adventure – with a cool little recording and a short read…. A simple little Special Assignment that takes just a few minutes – and a whole new life! HUNDREDS OF SUCCESS STORIES – Let’s share your story next! My business situation took a nose dive late 2013, it got so dire that I only had $2k in the bank and I was so immensely stressed and had really hit rock bottom. I was physically ill and emotionally drained and then I then came across the ‘Prosperity Pack’ – this was a financial Life saver! The Prosperity Pack is THE answer to creating wealth, I have tried many courses and have read many books but I found that there is nothing like this. It’s so simple to do each day and feels good when you do it and it only takes minutes a day. The easy to follow lessons and insights quickly shifted my thinking and how I was operating my life, esp. my business. Things turned around rapidly and within 2 months of the course I was attracting money from every direction – all unexpected places and my wealth soured quickly to over $50 k.
I found it so beneficial that when I finished the course I didn’t want it to end so I go back and randomly open a page to a lesson and keep the momentum up and the abundance energy it creates for me. If you want a simple, empowering and feel good approach to wealth creation and a successful person mindset – this is THE course for you. Kim Phillips – Director KPC Consulting. 15 Comments on "Still Listening? – How To Feel It Real For Money – Part 7"
Thanks, Mr. 2020 for all of the information that you have compiled for us, so that we can "stand on the shoulder of a giant" and not have to do all of this ourselves. It has definitely been a blessing to me! I have and continue to glean much from this information which has helped to change my life for the better! Coming to these lessons and wanting a loving relationship and having done so, I am very grateful for your help and expertise. I have studied Neville for years, but have gotten so much more from your personal expertise and the online classes. Much 'Thanks' to you and Victoria and I will continue to work with the Neville ideas and with you! Love you Denise! We really appreciate you, and the love and the joy you bring. This is again so beautifully broken down into bits that are easily assimilated, pointed to within mu own life. I appreciate so much the way you do this type of lesson, because no matter when I read it or re-read it – it points to the most recent conversation, or tendency, or habit… from my day, now, and allows such speedy shifting. I love you and all the gifts you give us here. Question: How do you keep in the state of the wish fulfilled when you are barely making it paycheck to paycheck and say someone wants to go to lunch or there is something you need, but do not have the cash for at this moment. How do you override what is the present lack with the abundance thinking? a) First, come to terms or be at peace with the situation. Fighting it, directly denying it (: Neville’s denial is about feeling indifferent to it or focusing on something else 🙂 or bemoaning it in your mind will only deplete the essential resource you do have – which is all you ever need anyway – i.e. your thoughts & feelings. Don’t squander this precious resource and preserve this to irrigate the fields of your consciousness appropriately. b) Guide your thoughts to something – ANYTHING – that feels a bit better. If it means finding quiet time to meditate or even sleep if possible that’s fine too. GRATITUDE for whatever is available i.e. whatever you do have going for you is helpful. For instance, you might not be able to accept that resources for that something-you-want can appear at the drop of hat if you fully believe it, but you can realize that you do have resource enough for other things you want. Also appreciate the general stuff like health, beauty of nature. I remember someone complaining about his net worth when an NLP practitioner asked him how much he’d be willing to sell his arms for, obviously the man wouldn’t, and the practitioner made his point about “net worth”. It’s not belittle the person’s financial situation but to really point out the importance of choice of perspective here. Ultimately the only thing we truly get out of anything material is FEELING GOOD, and so our feelings must be very important to us and they are directly correlated to our imagination. As for the state of the wish fulfilled, remember that the fundamental state of the wish fulfilled is A GOOD FEELING STATE, and when you are in that GENERAL zone whether the good feelings come from imagining the wish fulfilled specifically or anything else, you are “in the zone” of wish fulfilled. It is also very useful for all the little stuff that you’d like to go smoothly. This is the MAIN job we have – and that’s why Following-The-Formula is so vital. Doing your sessions RIGHT, will help you stay faithful – live from the state – so your wishes are fulfilled. Several years ago, I was given an opportunity to experiment with not watching or listening to any broadcast news. I wasn’t paying attention to world events that much anyway, but I took on the challenge. I turned the world off, so to speak, and didn’t involve myself in gossip or news events of any kind. It has been well over a dozen years now since I have watched or listened to any newscasts…none! Have I missed anything? No! Not one thing! I have consciously chosen not to add to rumors or unloving stories or to allow them to enter my house(mind). I have an uncluttered house in which to dwell. So grateful I took on that challenge and experiment. I suggest everyone experiment with it for yourself and see how lighter and more enjoyable your world becomes. I am not hiding my head in the sand and acting as if hurtful things aren’t happening. I simply use my time seeing and feeling things in lovely ways. Bringing heaven to earth! I was introduced to Neville at my church, so I will give a Biblical approach just as he always does in his teachings. I am glad that the Bible had prophets that became depressed. Elijah is one. Jeremiah is another. In fact the men and women in the Bible dealt with an I can’t attitude. They had periods of occasional doubt, fear, anxiety, depression, discouragement, etc. because they were human. The Bible shows that they are human just like us and what to do about it: Get in the Word. It will give you the Strength and Hope you are looking for. Go meditate in Nature. It is free. Read Psalms out loud. Take a journal and write and visualize what your ideal life would be like. I also find this a blissful way of life, and I like to imagine myself balancing out a lot of that “bad stuff out there” by simply focusing and giving attention to the God (good) stuff. One of the most unfortunate results of the “New Administration”..is the proliferation (and encouragement!) of gossip that passes for news, speculative rumor, and contentious, reactive broadcasting. The bulk of it (though not all) on You Tube…It is like some yucky rolling tide… of what I call ‘faux-facts’ streaming toward us, and I assure you..it’s not just poisonous..it’s also contagious. And energy draining. So, we made a decision how much, if any of this we will allow into our personal orbit. What a difference it makes to be selective. Now, when someone says to me, “Did you hear about the new law..? Hey… that thing Trump did with…wow wasn’t that terrible when he..” And, of course there’s always some ‘town crier’ who then says, “Gee if you don’t watch this, it means you don’t care about..”.Not at all. I simply choose to act in ways that can make a difference in the bad stuff close by, I HAPPEN to see. We make an impact where we can… involved in our community. In animal rescue. In helping our neighbors. We just don’t open the door wide… to toxic tides of unremitting crap!!! Just read the part that mentioned Jacob wrestling. I just studied that this morning as I had gone to sleep thinking about that chapter and act. What a witness. I have read Neville for yrs and put his teachings into practice all the time with great results. Love getting these emails from you!